Information security as an industry is projected to grow by 28% in the next 8 years. This growth represents a critical need for businesses and consumers who rely on ubiquitous cloud computing as well as a significant opportunity for technologists. Despite the industry’s growth, a recent report found that only 11% of the global information security workforce is comprised of women. In our fifth and final installment of our Strength In Numbers features, the team at the Minnesota State IT Center of Excellence sits down with information security entrepreneur and technologist, Sahar Ismail to discuss her thoughts on what we can do to pave the way for more women in critical tech fields like information security. 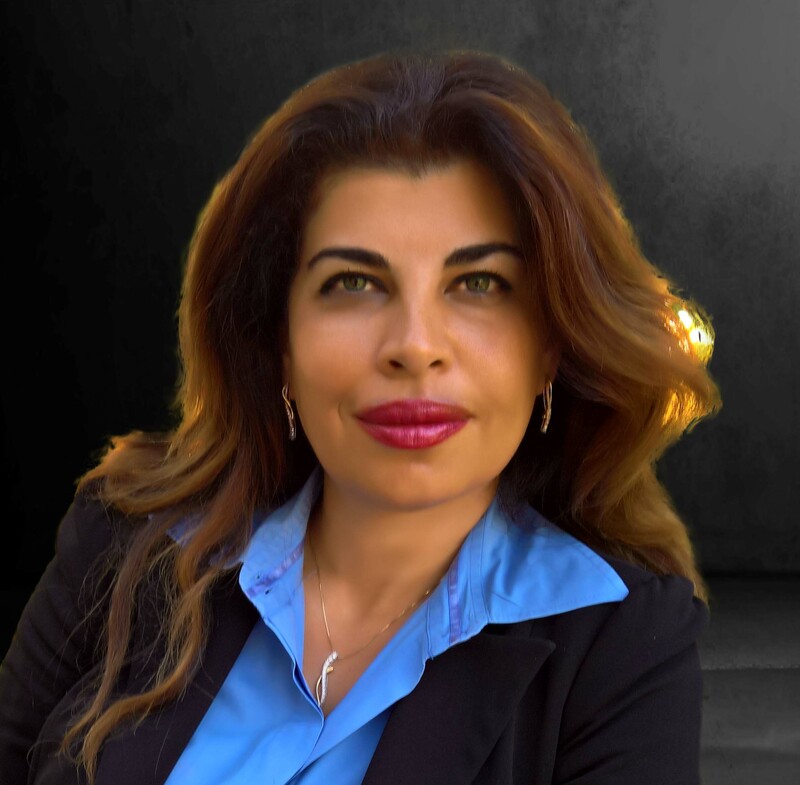 Sahar Ismail is the CEO & Co-founder of LegacyArmour and will be the emcee at the Minnesota Aspirations in Computing, 6th Annual Aspirations in Computing Awards Ceremony on April 17th. MNAiC: Tell us a bit about your role. SI: I am the CEO of LegacyArmour.com; an Insurtech company that has earned multiple awards and recognition in the US & Europe. My focus is on growing the company while supporting existing clients and managing daily operations. MNAiC: What were the greatest influences on your technology career choice, and direction? What was your “spark”? SI: I’ve always been a techie at heart. Information technology and Cyber security specifically has given me insight into new technology and challenges by prompting me to learn and adapt quickly to its rapid changes. It is fun to be in this domain. Still, my main spark was when a manager whom I highly respected gave me a leadership role as a team lead. I realized the reward in being there for others. Ever since then, leadership and entrepreneurship were awakened in me. Knowing that women in tech had to work harder, I made it a life mission to succeed, learn from mistakes, and most importantly be resilient. MNAiC: Speaking of sparks, MNAiC was fortunate to have you lead an informative SPARCS (Sustaining Passion, Ambition and Resolve for Career Success) event on information security, an industry that’s projected to grow by 28% in the next 8 years! Despite its growth, a recent report has found that women comprise only 11% of the global information security workforce. Can you share some of the things you’ve done within your organization to stave off this trend? SI: Our organization recently sponsored an internship for a female student majoring in Computer Science at Augsburg University to help get her certified in CISSP & Ethical Hacking. I also participate in multiple speaking engagements addressing the mindset behind entrepreneurship in the technical field for women, their challenges, and how to overcome them. MNAiC: As a whole, women in tech in the U.S. leave the industry at a 45% higher rate than men, further reducing the potential for women to assume leadership roles within tech. Research attributes this trend to unique challenges women face in the tech industry. In your view, what are some of the systemic challenges and/or what role can male advocates and managers play in addressing these challenges? SI: There is a gender bias problem in tech. Women’s performance is not recognized the same way men’s performance is recognized despite metrics demonstrating that women exceed men in a technical role. For example, a study conducted on software change requests within an open source community showed that though women coders performed better than men, their codes were accepted only if they hid their gender. Addressing this gender bias is a critical game changer. While some women decide to stay and work harder to prove themselves despite this bias; others quit. A focused effort to target women in tech and provide them with opportunities to succeed while working on reversing this bias will help. This is one of the reasons our internships are for women students; it’s so they have the confidence and knowledge to enter the job market and hopefully excel in it faster. MNAiC: What are the biggest hurdles you have witnessed or had to overcome yourself in your career as a woman technologist? SI: When meeting with some clients, I still see assumptions made that the head of our company’s delegation is one of the males in our group. I learned not to worry about it too much. In fact, I have found that once I speak and am able to demonstrate my knowledge in the field plus my passion for our customers, the client becomes a supportive advocate. At the end of the day it is business and numbers game. The less women in tech are affected by such biased, the better. We can address this gender bias with time and increased numbers of women in this fast-paced and challenging field. MNAiC: We want to take a moment to thank you for your ongoing support of MNAiC, SPARCs, and the Aspirations in Computing Award event, which you’ll be helping us emcee. What advice do you have for others who want to advocate? What do you think is the most effective way to advocate for diversity and inclusion in this space? SI: First, they need to take an honest look within themselves and address any biases they might have. Through our upbringing and experiences, we learn certain behaviors and biases. Addressing these thoughts from within by reading more (ex: the study I shared above) or talking to women in tech is a critical first step. Next, I encourage advocates to volunteer speaking to young female students in tech as they are extremely impressionable; hungry for knowledge and already confident. Providing them with advice and technical help will equip them for success. Lastly, reach out to women in tech groups to learn more about their challenges. MNAiC: What is your advice for women entrepreneurs in tech who are looking to get support and/or how do they get the right support? SI: WeMN.Org has a peer advisory group that helps women entrepreneurs network and talk about their struggles/challenges. This is a great forum to support aspiring women entrepreneurs in tech. The Minnesota High Tech Association is also another community that supports women in tech. We are lucky to have such a strong local presence & support for women in tech who are looking to start their own business. In fact, I would say, if there is anywhere nationwide where a woman can start a tech business and have the support she needs; it would be here in Minnesota. Sahar Ismail CEO & Co-founder: Sahar has a degree in Electrical Engineering and a Masters in Security Technologies from the University of Minnesota. She has experience in leadership, Healthcare, Education, Finance, Service Oriented Architecture, Project Management, and International Commerce. She has been the leader of a multinational team, a team lead for a nationwide cloud solution, and a Manager of Enterprise Architecture for one of the largest online education providers. She has 20 years of hands-on IT experience, is business savvy, multi-lingual, and is the driving force behind the creation of Legacyarmour. As a mother, she has a deep personal passion about Legacyarmour functioning flawlessly because she herself has a Legacyarmour vault for her children. LegacyArmour is a life monitoring platform where you organize your important information in encrypted vaults, and then automatically deliver it to your designated recipients on a scheduled date, or in case of your death or incapacitation. The team at LegacyArmour are individuals like you who believe that each of us has the right to choose our own destiny and to provide for and protect our loved ones to the best of our ability, even after death. With the combination of training, education, and experience, the LegacyArmour team is uniquely qualified to provide these services. MNAiC collaborates with businesses, organizations and schools to inspire and empower young women in high school to become our next, best Minnesota technology talent. Want to get engaged with the Minnesota Aspirations in Computing program? To learn how your organization can support the computing interests of young women in Minnesota and lead the movement to disrupt gender equality in tech, contact Russell Fraenkel, Director of IT Career Pathways and Partnerships, Minnesota State – IT Center of Excellence, at russell.fraenkel@metrostate.edu or call (612) 659-7224. Become an MNAiC Sponsor & Partner! The Minnesota Aspirations in Computing (MNAiC) Awards Program, partners with the National Center for Women and Information Technology (NCWIT) to honor and support young high school women for their computing-related achievements and interests. Support the movement to disrupt gender equity in Tech, become a Partner today!